Two monster milestones; no shots, and moving to yearly doctor visits! Height: 32 1/2" (50%) --> 2' 8.5"
Conversation! Elora can use two-word, three-word and even the occasional four-word sentence correctly in context. Has memorized several songs; stumbling through ABCs, Ba Ba Black Sheep, and others. Can count to ten! (okay... not in order, but still). Recognition; animals, colors, numbers, even several letters by sights. 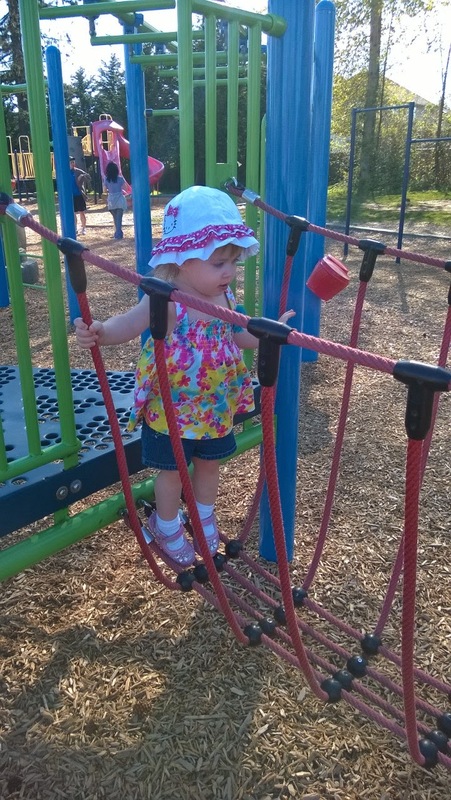 Mobility extreme - the fearless toddler will climb the highest structures at the playground now, and (depending on her mood) even ride the slides. Venturing onto the rope bridge at the playground. 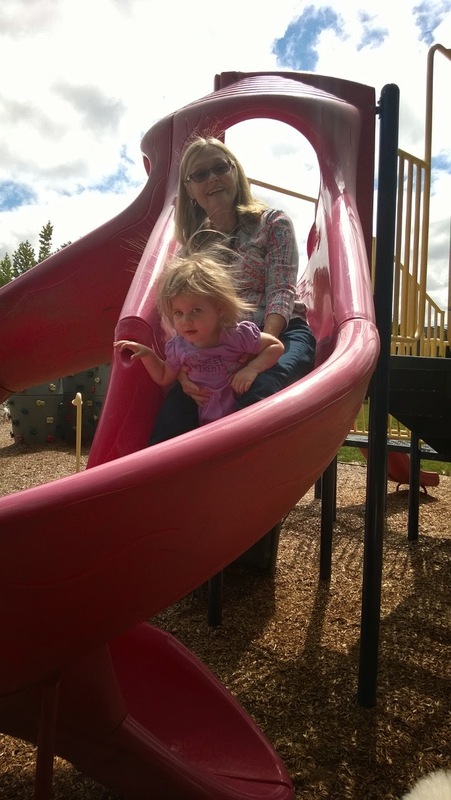 Elora and Grandma on the big slide!